I found this photo on my old scout troop's website. 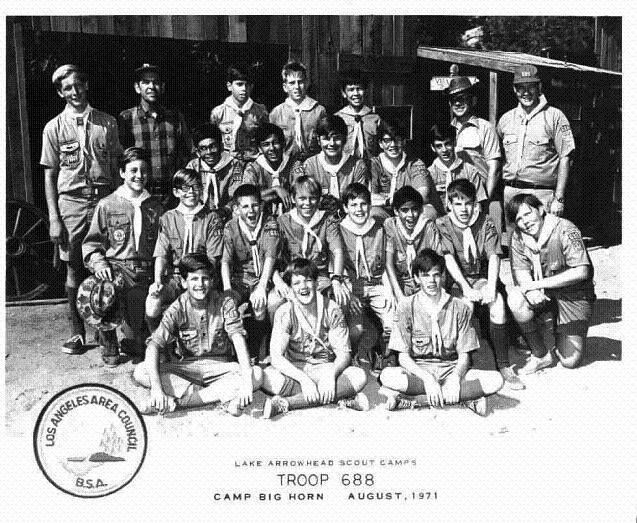 Summer Camp, 1971, Camp Big Horn, Lake Arrowhead Scout Camps. That's me on the far left of the back row. I was senior patrol leader at the time, so I got to go to camp a week earlier for free. I earned the Signalling merit badge at camp that year. That merit badge no longer exists. This is a yearbook photo I took from a reunion website. 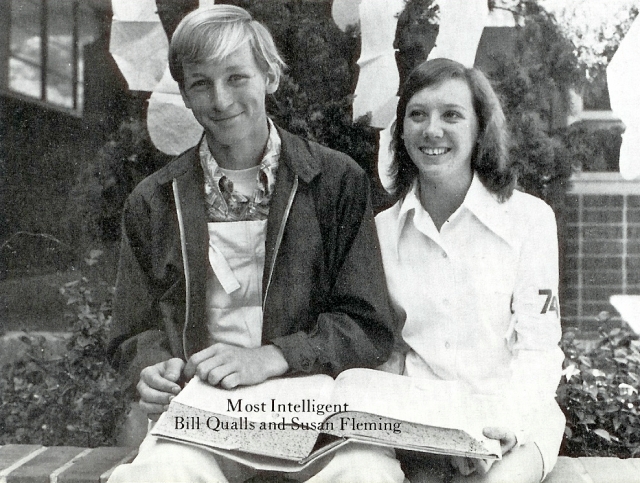 Susan Fleming and I were voted "Most Intelligent" by our senior class, class of 1974, at California High School, Whittier, CA. Sadly, I am now three times as old, twice as large, and half as smart. 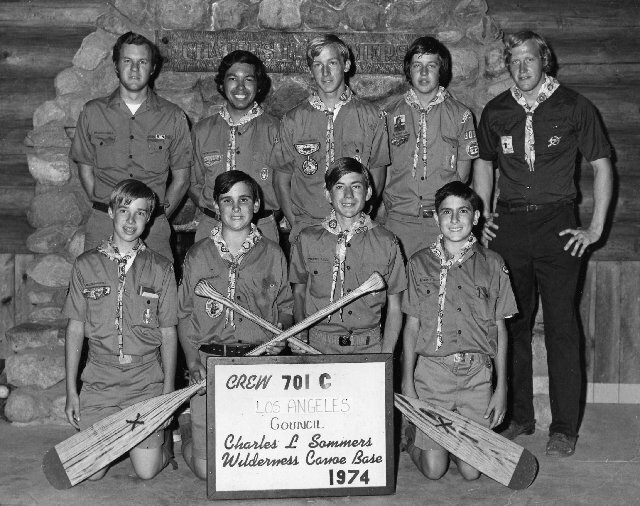 In 1974 Paul Craig dragged seven boys from Southern California to the Charles L. Sommers Canoe Base in Ely, Minnesota. This was the most physically demanding trip I have ever participated in. It was a life-changing experience. I hope I have the names right... Front (L-R) Chuck Williamson, Gil ?, Joe DePonto, John Orozco. Back (L-R) Paul Craig, Tom ?, Bill Qualls, Cal ?, Ralph Nelson (Guide). Thanks, Paul Craig, wherever you are. This is my father, William Bland Qualls. 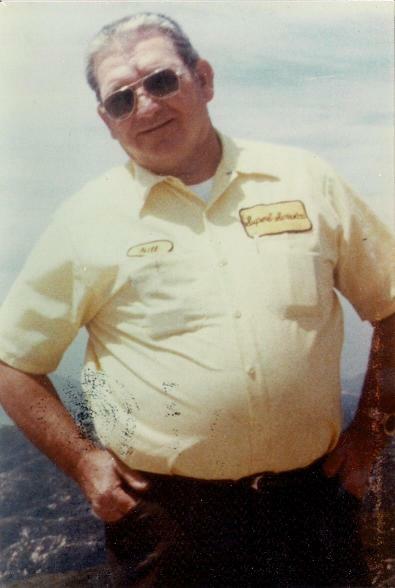 I don't know when this picture was taken, but I do know it was in the latter half of the 1970s, and it was taken near the Rim of the World Highway in the San Bernardino Mountains. Copyright © 2007 by Bill Qualls. Last updated October 26, 2007.